When the Duke University Graduate School was established in 1926, President William Preston Few understood that a graduate school was the essential element of a research university. 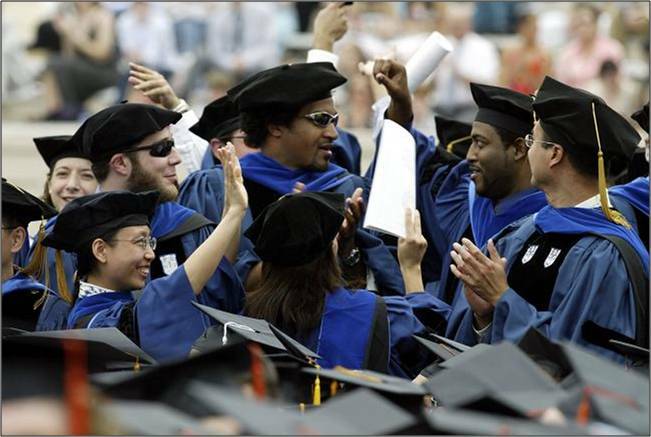 Since that time, Duke’s Graduate School has garnered a reputation for excellence in research, teaching, and service. Our graduate students are the intellectual glue of our community, pushing academic boundaries, offering fresh perspectives in research approaches, and giving voice to emerging fields. This is why we spend a lot of time examining how we can most effectively enhance the quality of our graduate students’ lives during and beyond their years at this university. It is this interest in and responsiveness to student concerns that has made Duke’s Graduate School a national model for how to conduct graduate education in the United States. Over the years, we have learned that investing heavily in services that really respond to students’ critical concerns results in greater success in their academic, professional, and personal lives. Our goal is to continue to bring to light and to appreciate the value of our graduate students and our graduate programs, both in the economy of Duke and in the world at large. As much as anyone else, our graduate students have brought this university the prominence it enjoys today. Thank you for your interest in supporting the Duke University Graduate School. To learn more about giving opportunities at The Graduate School, contact Mike Byerley (mike.byerley@duke.edu), Graduate School development director. A gift to The Graduate School can be part of a smart financial plan. Let the Graduate School development staff and the Office of Gift Planning at Duke University help you and your financial advisors develop a gift plan that meets your financial and philanthropic goals. A properly planned gift may help you reduce or eliminate capital gains and gift and estate taxes. You may realize immediate tax savings as well. You can explore different gift plans in detail on Duke's Gift Planning website. You can make a legacy gift bequest today by filling out this form (PDF).